Sampling set up at La Manna Essendon Fields, ready to give out some tastings! Doone from Aloe Vera HQ made her way to Moral Fairground Preston Hall to set up a stall for Aloe Vera Juices and Skincare. The day was a great success with lots of interest, sold products and new interesting people to meet. Check out our feature in this months Wellbeing Magazine. See our glass bottle range along with an in-depth featured article outlining the benefits of Aloe Vera and how it can help improve your health today. We're so excited to announce that we're one step closer to having our products organically certified by Australian Certified Organic! Our aloe vera has always been grown under organic conditions, and we're excited to be finally receiving recognition for it. I have been buying your Aloe Vera 99.9% Natural Juice for almost 5 years. I take it each morning for my reflux and find it does a great job. We have been using Aloe Vera juice for our pet dog and had very good results. Our dog is 11 years old and has had problems with her hind legs and also has stomach problems. We have been giving her Aloe Vera juice for the past four months in her breakfast and she is no longer limping around and is back doing her runs around the yard. Thank you for this great product. I have been feeling tired and exhausted easily. This wasn’t my normal behavior. Usually my diary is filled up with appointments. I was aware that my iron stores and Heamoglobin were barley reasonable so I asked my doctor for some tests. It was found that a portion of my oesophaus membrane was bleeding and I was prescribed Nexium. When I saw my medical acupuncturist he suggested I cease the medication and start drinking your 99.9% pure Aloe Vera juice. I recovered and quickly felt well again. Celebrating healthy skin, healthy family and healthy lifestyle. Our missing as industry leaders is to provide the highest quality Aloe Vera products in food, cosmetics and Nutraceuticals contributing to people’s health and wellness all over the world. At Aloe Vera of Australia, we use only fresh Aloe leaves grown in the pristine countryside of Australia. The Plants are a renewable source, not harvested only the outer leaves are removed as the plant continues to grow. Our method of “hand filleting” the leaves, allows us to maintain the maximum biological activity and effectiveness from the aloe leaf. 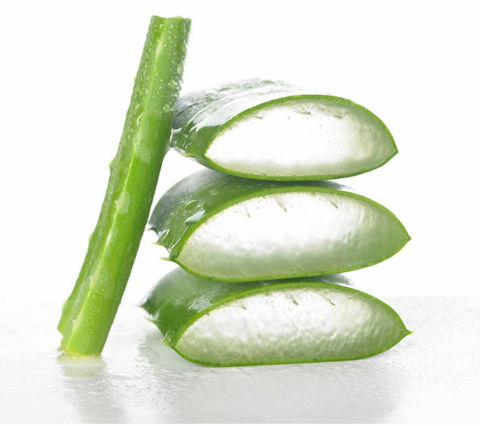 Aloe Vera used in our products has never been frozen, freeze-dried, or reconstituted from powder. We hand fillet and finely filter the extract, testing each batch for quality and purity An independent accredited analytical laboratory is used to ensure that the product is sterile stable and meets the purification and processing regulations. Alloin is removed, during the filleting process, giving the juice maximum efficacy and a smoother more palatable flavour whilst keeping maximum nutrients intact 100% owned grown manufactured & bottled in Australia.